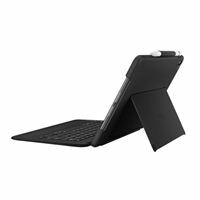 Add flexible viewing and typing options to your 10.5-inch iPad Pro with this Logitech Slim Combo case. 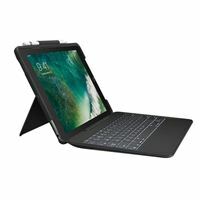 Its full-size detachable keyboard automatically powers on when paired with the iPad, and the iOS shortcuts let you work efficiently. 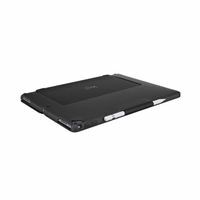 Adjust the built-in kickstand of this Logitech Slim Combo case to suit your preferred viewing angle.